Anyone remember the days of playing those silly Facebook games? Since the world has changed quite radically since the heyday of Zynga, it feels like that era was so long ago. 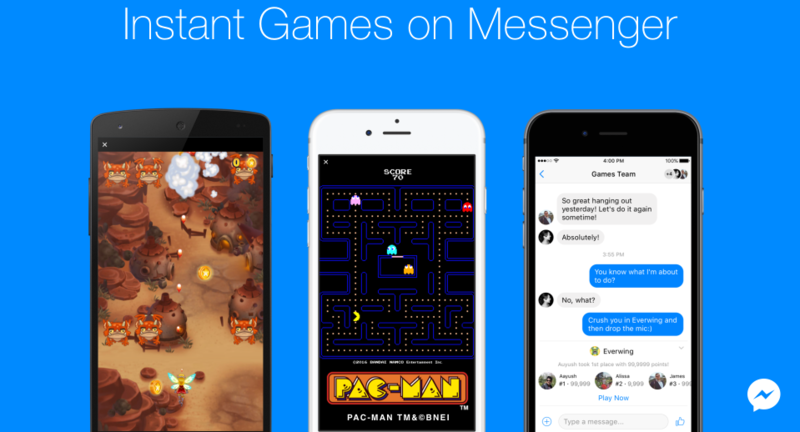 Perhaps in a bit of nostalgia or an urge to incite over-competitiveness among friends, Facebook has rolled out games within the Messenger app. Games are started by hitting the controller in a conversation, then selecting which title to play. Upon finishing a round, the other person (or people) in the thread will see your score. Each one will include leaderboards and contextually-based chat. The hope here is that these will add to the social, fun, and competitive elements just like the good ol' days. This new initiative marks the first step in Facebook's Instant Games platform. A lot of these titles are instantly recognizable and should be plenty of fun for Messenger users. For those of us that do not use the app, however... well, I am not entirely sure that this will convince us to start.